45364 PER2525.jpg 500X638\PER2525.jpg 45363 PER2525_1.jpg 500X638\PER2525_1.jpg 45365 PER2525_2.jpg 500X638\PER2525_2.jpg 45366 PER2525_4.jpg 500X638\PER2525_4.jpg Send A Hint! 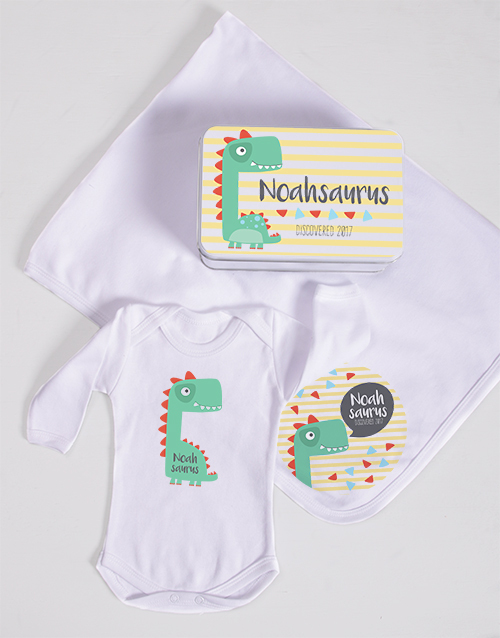 Spoil the adorable new baby with this gorgeous gift set which consists of a personalised 100% cotton baby swaddle Blanket (0.75m x 1m), as well as a personalised 100% cotton white 3-6 months baby onesie a dinosaurus design (Set of 2). 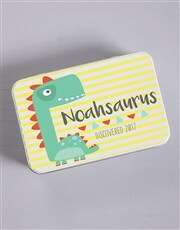 You also have the option of purchasing the set in a personalised matching keepsake tin (Set of 3). 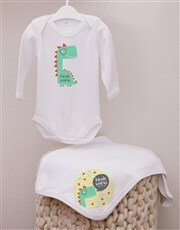 Either way, mom and baby will just love it! Get this Personalised Saurus Spoils Gift delivered with NetFlorist.